Description: Dianna enjoyed being the EMCEE at the Jersey Seasons show, a tribute band to Franki Valli and the Four Seasons, presented by the Olde Town Terrace in cooperation with Creative Gal Productions on Augut 25th at the Royal Canadian Legion in Collingwood where $5,000 was raised for the roof of the Collingwood Legion. The Jersey Seasons performed to a sold out audience singing such songs as “Sherry”, “Walk like a Man”, “Dawn,” “Rag Doll” and “Can’t take my Eyes Off of You” while incorporating the look instrumentation and harmonies of the original Four Seasons. Twenty-five year-old, Gavan Rousseau with his vocal quality of a young Fanki Valli reminiscing his appearance on the Ed Sullivan Show in 1962 brought back wonderful memories of those years gone by. Dianna caught up with both Gavin Rousseau and Fernando Curcione from the Jersey Seasons prior to their show to hear their thoughts on Frankie Valli and the Four Seasons. Enjoy & share this great local program from Beach BOOSTER Radio, available anywhere from our Podcast Page. Dianna enjoyed being the EMCEE at the Jersey Seasons show, a tribute band to Franki Valli and the Four Seasons, presented by the Olde Town Terrace in cooperation with Creative Gal Productions on Augut 25th at the Royal Canadian Legion in Collingwood where $5,000 was raised for the roof of the Collingwood Legion. The Jersey Seasons performed to a sold out audience singing such songs as “Sherry”, “Walk like a Man”, “Dawn,” “Rag Doll” and “Can’t take my Eyes Off of You” while incorporating the look instrumentation and harmonies of the original Four Seasons. Twenty-five year-old, Gavan Rousseau with his vocal quality of a young Fanki Valli reminiscing his appearance on the Ed Sullivan Show in 1962 brought back wonderful memories of those years gone by. 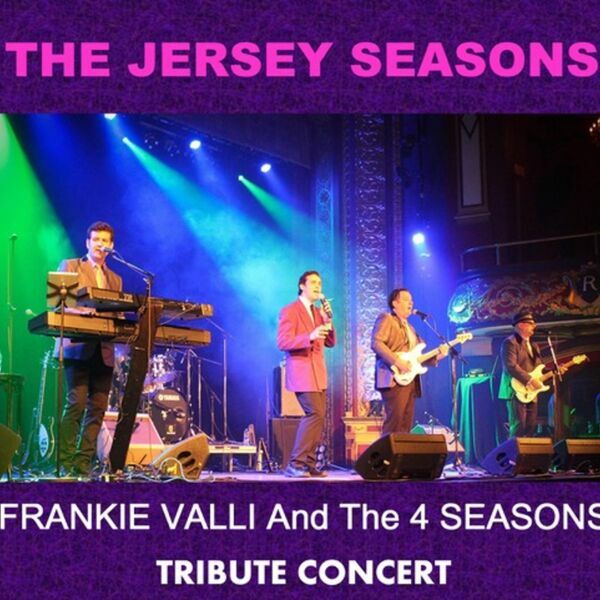 Dianna caught up with both Gavin Rousseau and Fernando Curcione from the Jersey Seasons prior to their show to hear their thoughts on Frankie Valli and the Four Seasons. Enjoy & share this great local program from Beach BOOSTER Radio, available anywhere from our Podcast Page.